Over the years, our family has learned that when we gain a feeling of being "settled" in one place, we'll soon have military orders to move to another place! While it may not be the first thing we think about, a discussion on whether to sell or to rent may highlight important tax details. What if we sell the home? While considering the sale of our current home, I reached out to MilitaryByOwner’s team of tax experts at MacRae Associates. A helpful certified public accountant walked me through an overview of tax related information. When a person buys a home, they now have a capital asset. When they sell that capital asset, the difference between what it cost (the adjusted basis) and the amount realized from the sale is either a capital gain or a capital loss. A capital gain is selling the asset for more than the adjusted basis and a capital loss is when it sells for less. When a home seller sits down to do their taxes, they will need to calculate their capital gain or loss on both a “Sales and other dispositions of capital assets” sheet (Form 8949) and a “Capital gains and losses” page (Form 1040, Schedule D). 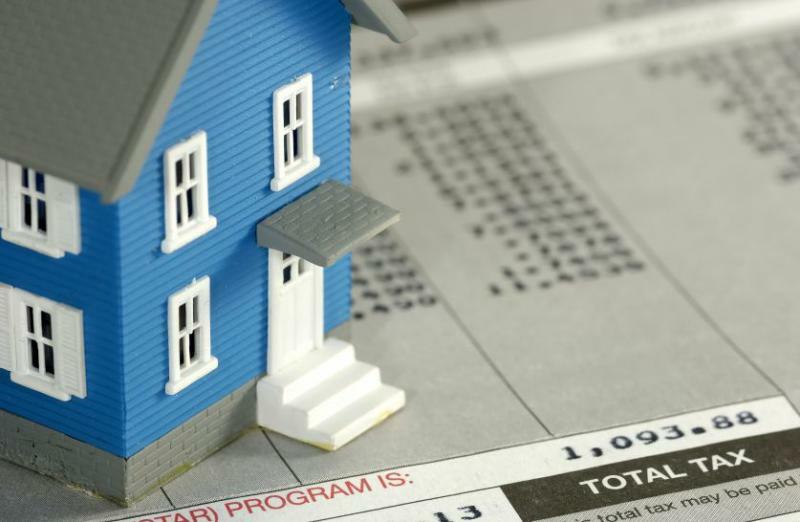 With the ever-changing housing market, if the sale of the home leans more towards capital loss than gain, there is a limit to the amount of excess loss that may be claimed on Form 1040. If the net capital loss is more than the limit (up to $3000), the seller may carry the loss forward to later years. Doing so will be noted on a “Capital loss carryover worksheet” (see Publication 550). However, if all goes well, a home seller may to make a profit when selling their home. According to IRS regulations, there may be an exclusion of up to $250,000 from income gained from the sale of a home. (Or, a $500,000 exclusion on capital gain if filing joint taxes with a spouse). To qualify for this wondrous tax-free amount, within a timeframe of five years, a home seller must have either used the home for at least two years or owned the home as their main residence for at least two years. Since we live in the land of “what if” with this military lifestyle, what if we PCS to a new assignment before meeting that “2 years of residence” minimum? Thankfully, there is an exception to that rule. When serving on qualified official extended duty orders, a military member may suspend the 5-year ownership timeframe and still obtain the exclusion. Added bonus? This suspension of timing extends up to 10 years. No need to worry about that 2-year use and ownership requirement if short-notice orders come up. Thanks to their service commitment, a military member may treat the gain from the sale of their main residence as tax-free. What if we rent the home? Direct legal action if eviction is necessary. If you're a military homeowner and new to the idea of working with a property manager, you may want to browse helpful property management resource articles and blog posts on MilitaryByOwner. 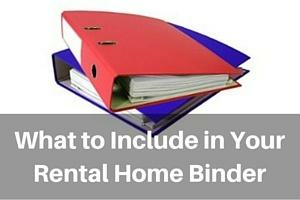 Download this free resource: Landlord/Tenant Ebook! Here's a nice surprise. Guess what is tax deductible with a rental? Anything related to keeping a residential rental property up and running is considered a tax-deductible expense. With deductions in mind, think of tracking the expenses as important “homework.” To get an A+, it’s a good idea to keep tabs on all of the necessary receipts and statements. By keeping the paperwork that you’ll need to file in order, it may in turn save you money on your taxes and add you to the Honor Roll! Now, if a person sells their home, they may deduct the mortgage interest paid up to the date of the sale. But, if they choose to rent it out, are they able to deduct that mortgage interest? The good folks at MacRae Associates referred me to the Internal Revenue Service website, which offers helpful information in PDF format. According to three documents (Page 4 of Publication 936 on Home Mortgage Interest Deduction, Page 3 of Publication 527 regarding Residential Rental Property, Chapter 3 about Rent Expense in Publication 535 Business Expenses), there are specific qualifications for this deduction. If you're a member of the uniformed services and receive a housing allowance that is not taxable, you may deduct the home mortgage interest. If you rent the home as a residential rental property, it is considered an income-generating property and listed as a business. You may deduct the interest portion of the property mortgage payment, but not what is paid towards the principal balance. This little factoid explains why the list of deductions mentioned above are all peachy keen. Those items are filed as itemized business expenses. Whether handed short-notice orders or a regular assignment, turn to MilitaryByOwner to help ease the transition, and consider chatting with a tax professional as you weigh the many facets of selling your current home or choosing to rent it out.